Ok, I’m probably not blowing your mind by telling you that fiber is an integral part of your diet. Yet there’s probably a lot you DON”T know about fiber. And your need for it in the diet goes way beyond “old people” and prunes. Adequate intake can make you healthier, skinnier and stronger at any age! The first thing I learned in my early days of dieting was to add lots of vegetables to my diet. I understood that low-calorie vegetables will trick your stomach into feeling full. And that was the reason to eat them for weight loss. But that isn’t the whole story. Much of the value in vegetables is their fiber which is integral to helping the body melt fat. Don’t believe me? Keep reading about the many benefits and I promise not to say, “I told you so” in the end! It helps balance the digestive system. Did you know that the digestive system is the center of immunity for the body? It’s true! And when the digestive system is imbalanced, so is that fat storing system. Nurture your digestive system and you’ll be helping your body stay slim. It reduces toxicity in the body. When you aren’t eliminating in a timely fashion, toxins that are usually eliminated start building up internally. And these toxins will eventually seep into your bloodstream. What happens next? The body becomes inflamed which will SLOW YOUR METABOLISM. It can help balance your blood sugar. Did you know that one of the main reasons you gain weight has nothing to do with calories? It has to do with too much sugar in the bloodstream. Too much sugar makes the body store fat. Eating foods that help balance blood sugar can help heal this problem. Ok, so you’re convinced that you need to eat more fiber. GREAT! But wait! There are a few things you need to know before you start including it as part of your weight loss regimen! Unless you cook your vegetables correctly, you might be cooking out much of their nutrition. The best way to cook vegetables is to steam them until they’re soft but still crisp. Soggy vegetables equal nutrient depleted vegetables. So, if you’re eating lots of overcooked vegetables, you might still be depleted in fiber! So watch your vegetables carefully when cooking them. And make sure to take them off the heat while they’re still crisp! It shouldn’t make you “go” all the time! Many people fear that added fiber in the diet will make them take up permanent residence in the washroom. If you’re used to a very low fiber diet, you might want to build up slowly so as not to shock the system. But fiber in the diet shouldn’t cause problems. If you do experience short-term discomfort, you might want to add a good quality probiotic to your daily regimen. The true culprit in your discomfort might actually be a deficit of beneficial bacteria in your digestive system. If you experience any new long-term digestive discomfort, always seek the opinion of a physician. Did you know that there are two distinctive types of fiber and you need both of them in your diet? It’s true! Soluble fiber helps with the absorption of water which aids digestion while insoluble helps your digestive system move more quickly and effectively. Examples of good sources of soluble fiber are lentils, beans, oats, oranges, grapefruit, and mangoes. Insoluble fiber can be found in most vegetables. Raspberries, strawberries, apples, and flaxseeds are good sources as well, Make sure to get both kinds in your diet daily! Fruit is super healthy and can even help you lose weight. That’s crazy for a food that is high in sugar! And the craziest part is that the only major distinction between fruit and other sugary foods is the fiber. The fiber adds weight to the sugar and slows down its digestion. And this is integral for stopping a spike in blood sugar that puts your body in fat storing mode. So without fiber, you wouldn’t be able to eat fruit and call it healthy! So how much should you have a day? Well, that depends on how much you eat a day. You need about 14 grams of fiber for every 1000 calories that you consume. So that means that someone on a 2000 calorie-a-day diet would need about 28 grams. That doesn’t sound so hard does it? Keep in mind that this isn’t an exact science and your personal needs may be higher or lower depending on a multitude of factors. Fiber is essential for health. It can help lower cholesterol and help protect against heart attacks and stroke. It may reduce the risk of gallstones and kidney stones. It helps regulate the bowels which can help you lower your toxicity and ease inflammation. It helps regulate blood sugar levels, protecting again Type 2 Diabetes. 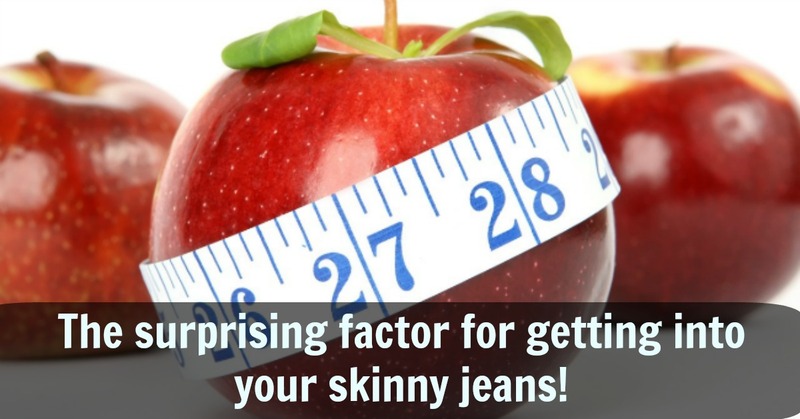 And between easing inflammation and regulating blood sugar, it can help you get into your skinny jeans. So are you super excited about how fiber can help you reclaim your health and lose weight? See, I told you…. Wait! I said I wouldn’t say that! So I’ll leave you with this instead. You have a wide variety of foods to choose from to meet your daily requirements. So pick your favorites and start munching today! I always enjoy reading your healthy eating and living tips. They encourage me and remind me I am on the right track. I read many years ago that overcooked vegetables mean nothing in the way of nutrition. Yet many people continue to produce soggy veg. Pheonica, you are correct in that most people cook soggy vegetables. And most recipes that you find will have you overcook vegetables. So you have to be really aware when cooking them. I’ve been gradually reducing the amount of meat I eat so I’m experimenting more with different kinds of proteins, including beans and different kinds of grains. It’s definitely trial and error. One thing I would really like to find a way to cook right is tofu. It is just so blah. I’ve found a few recipes that sounded pretty good but they are usually fried with some kind of heavy coating, and that just seems like it defeats the whole purpose. Anyway, informative as always Erica! Marquita, if you don’t like tofu then don’t bother eating it. It has a reputation as a healthy food but it really isn’t. Tofu is very hard on the body, decreases its ability to absorb nutrients and can create hormonal imbalances. If you really want to add soy to your diet, try tempeh. It is a much healthier version of soy because it is fermented. The fermentation process takes away the negative attributes of soy that I just mentioned. It is also a much less soggy texture so you might enjoy it more. As you might expect, squeezing into skinny jeans is not really an issue for me. But I still feel guilty about overcooking the green beans for dinner tonight. It was an accident, I’ll be more careful in the future. You’re right Ken – still important not to overcook the veggies! Erica, my husband has diabetes and because of the high sugar content of fruit he doesn’t think he should eat it. I am going to make him read this post “fiber adds weight to the sugar and slows down its digestion. And this is integral for stopping a spike in blood sugar that puts your body in fat storing mode.” He had also been eating walnuts but stopped that after discovering they contain 38% fats. The labels don’t tell it all and we need posts like yours to explain the differences. Thanks. Hey Lenie. When it comes to diabetes, there are certain fruit that are better than others. It really just depends on how quickly they turn to sugar in the body. Berries, pears, peaches, plums and nectarines are some of the bet. But fruit should still be eaten in moderation with diabetes. I would recommend talking with his doctor about how much fruit is acceptable.